Here are some pictures of my art stand last weekend at the Desucon 11 convention. I had such a great time! Thank you to everyone who stopped by my both. I also got a few cosplayers to model next to it. Here is the beautiful geisha Ester. And here is my favorite Bobs Burgers cosplayer the Mendori. I also got the chanse to do some livedrawing again. This time, the audience decided that the drawing was going to be a Game of Thrones gender bent Rave party. So yeah. 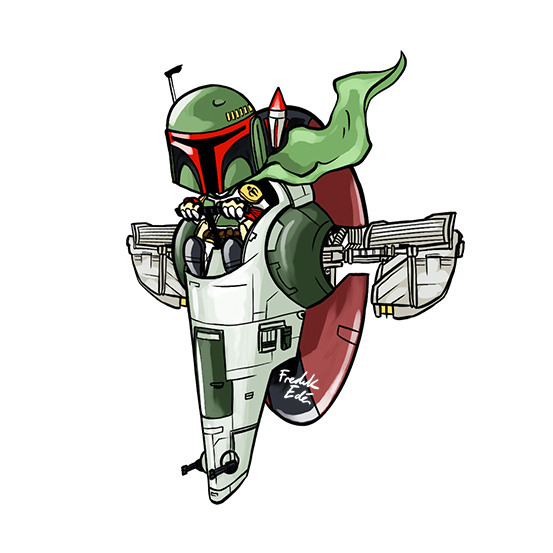 Ended up with this. I was also quite excited to be selling my first coloring book at the convention. It sold pretty well, so now I am eagerly awaiting for people to upload some pictures they have colored. There are still a few left which I will put up on my etsy shop next week in case you want one. Again thank you again to everyone who visited my art stand. This was an awesome weekend! 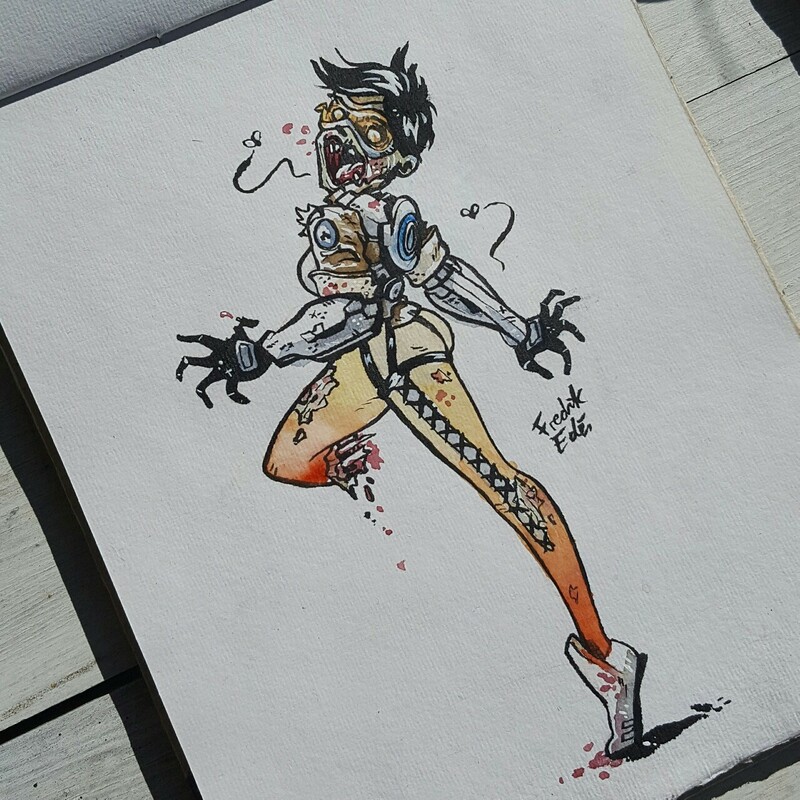 Painted Tracer from Overwatch as a zombie today. 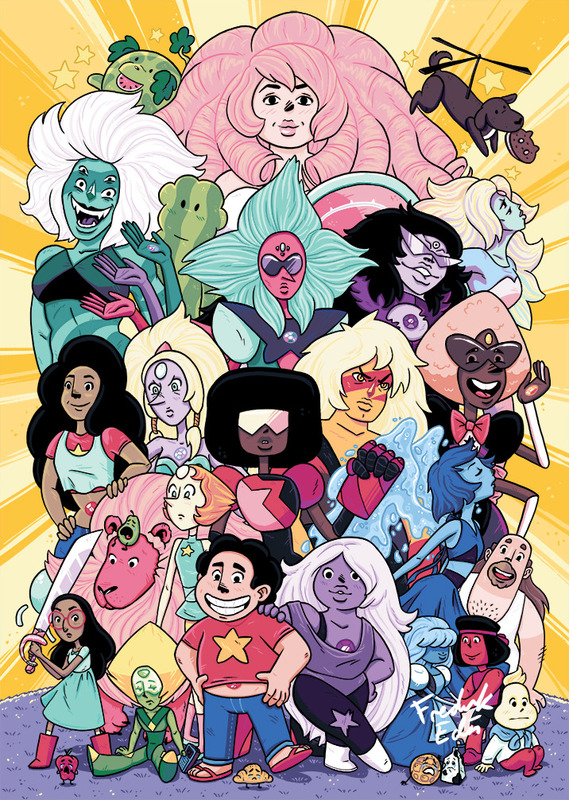 Finally finished the Steven universe poster I have been working on. I’m taking it with me to the Desucon convention next week. Hope to see you there! Quick sketch of Morticia Addams and her something something pet. 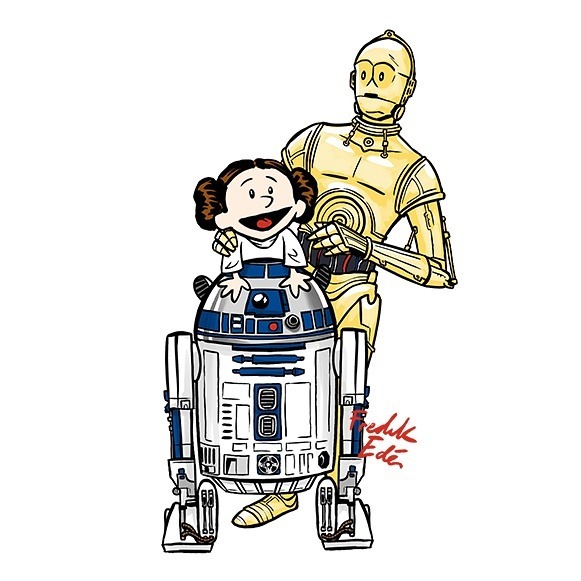 So I was asked if I could draw some Star Wars tattoo designs in the style of Calvin and Hobbes. I’m usually not a big fan of drawing in other art styles than my own, but this sounded way to fun not to do! So here is what I ended up with. Can’t wait to see them as finished tattoos! Here are all of the wonderful pets I got to give a makeover this May. I got to draw on llamas! And last but not least Castiel.